The efficacy of two public service announcements from Phase V of the “America Responds to AIDS” (ARTA) campaign was assessed at two sites. Participants were randomly assigned to view a local news program, one with an ARTA public service announcement appearing six times and the other with no AIDS public service announcements. During telephone interviews with 907 participants 1 to 3 nights after viewing, 21% at Site A and 59% at Site B could correctly recall the ARTA public service announcements. 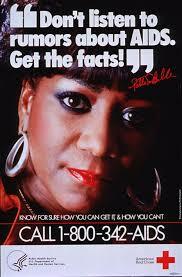 Absolute mentions of AIDS as an important national issue increased.